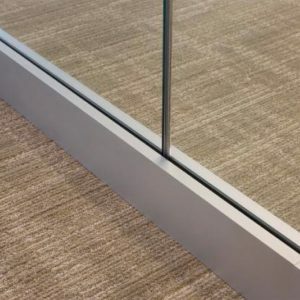 The humble wall. 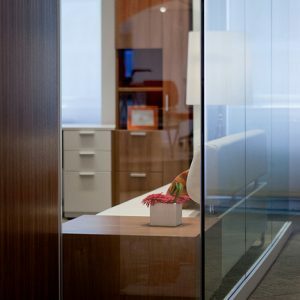 You may know it as a way to create privacy or segment space. 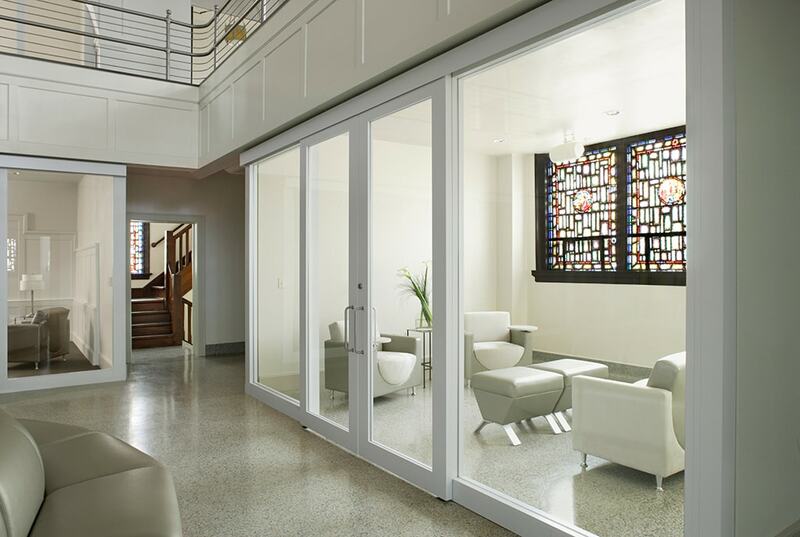 But modular walls offer much more than that. 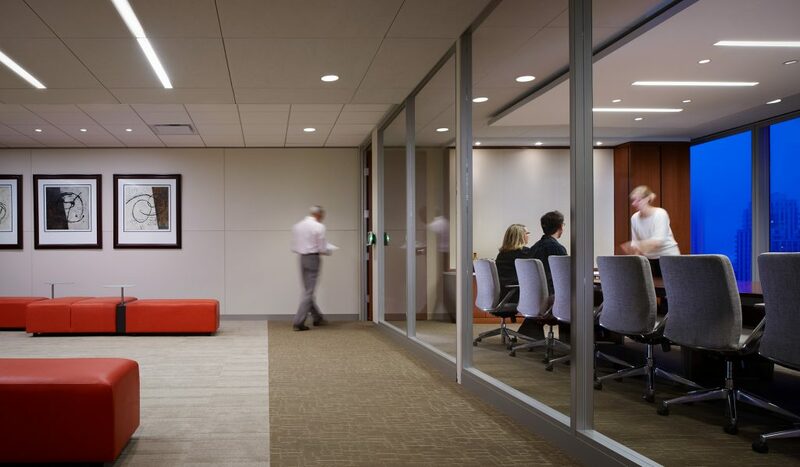 Using customizable designs and configurations, Genius and Lightline movable walls from KI can help you render highly useful spaces throughout your floor plan. 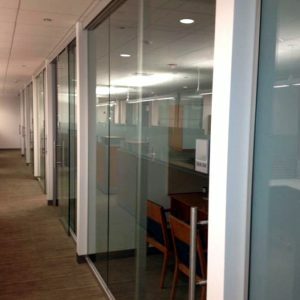 Now it is simple to use office dividers and glass walls to create streamlined workstations, training rooms, conference rooms, and more. 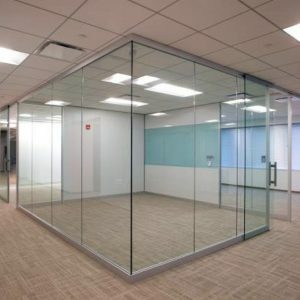 The unsteady Humpty Dumpty would want to avoid movable walls. 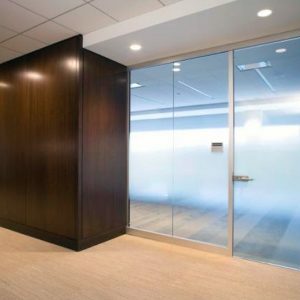 Built for double duty as room dividers and privacy screens, movable walls help you reconfigure any space. 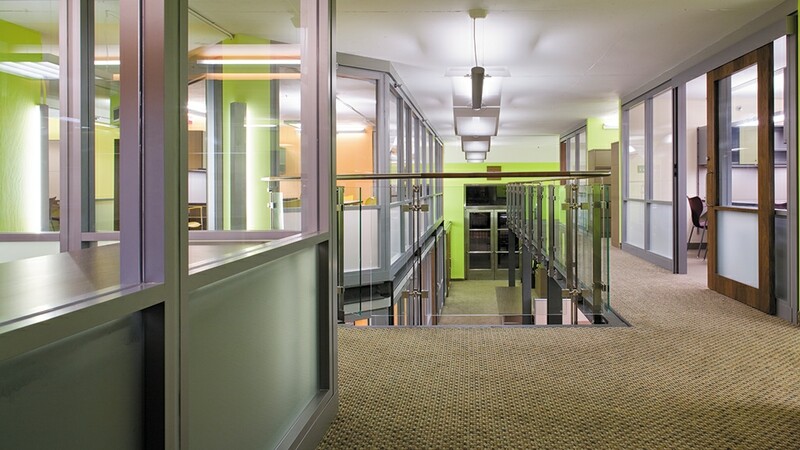 Make the most of your space, download the movable walls brochure today! 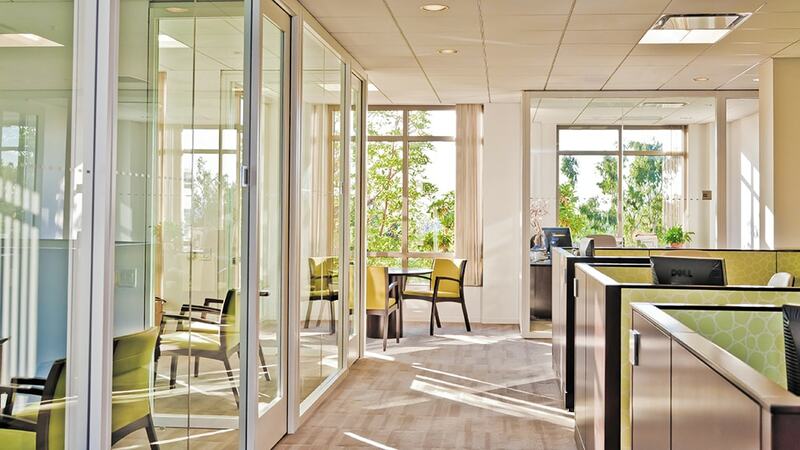 By using ecologically sound manufacturing processes and construction materials, Genius is friendly to the environment and designed for sustainability. 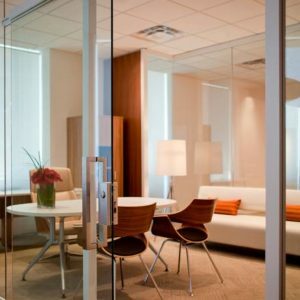 Glass wall options allow plenty of daylight into interior spaces and the use of sliding doors can help shrink the office footprint. 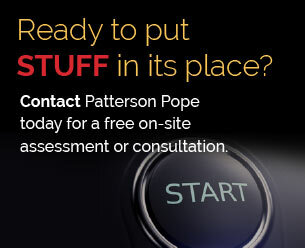 Here’s a quick overview of the Patterson Pope line of Genius and Lightline Walls. 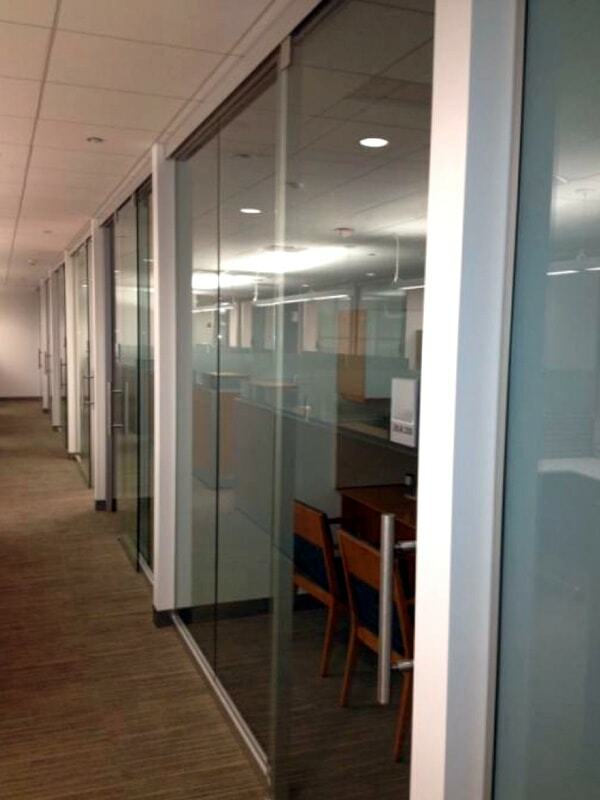 Please contact us to learn more and to start discussing how office dividers can make the best use of your space. 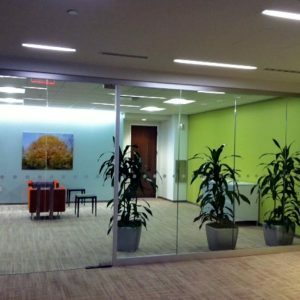 The Lightline Movable Wall is a pre-assembled, glass wall system designed to enhance and share light. 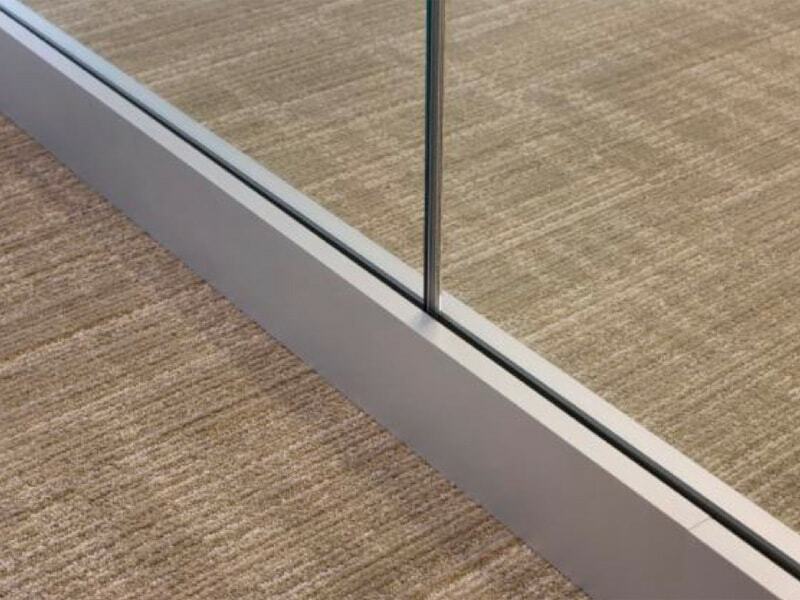 Lightline offers a thinner profile by using one-half-inch-thick glass, along with seamless glass joints that allow better light distribution and brighter workspaces. 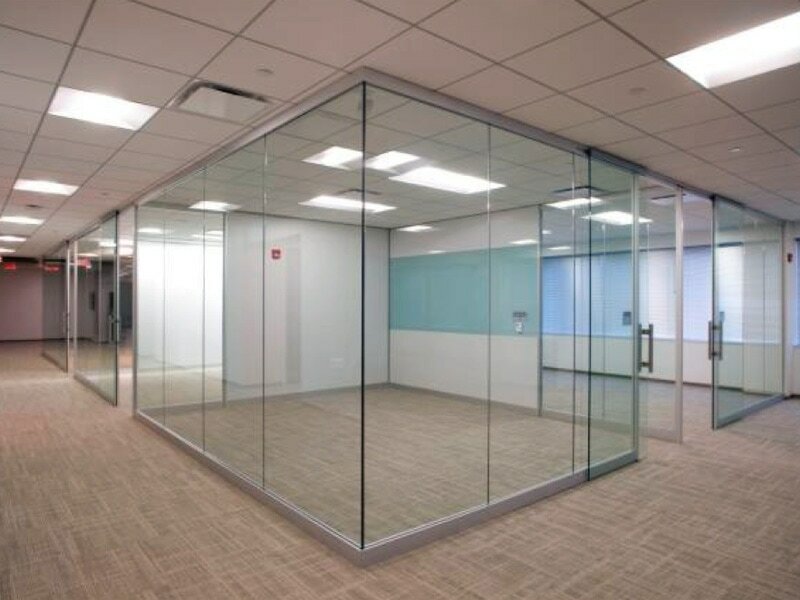 With no vertical posts needed in the glass wall, you can create a space with no visual breaks. 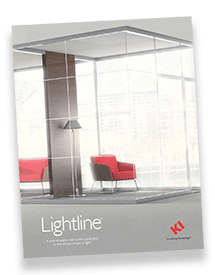 Lightline is versatile, adaptable, and works with both permanent construction and existing buildings. 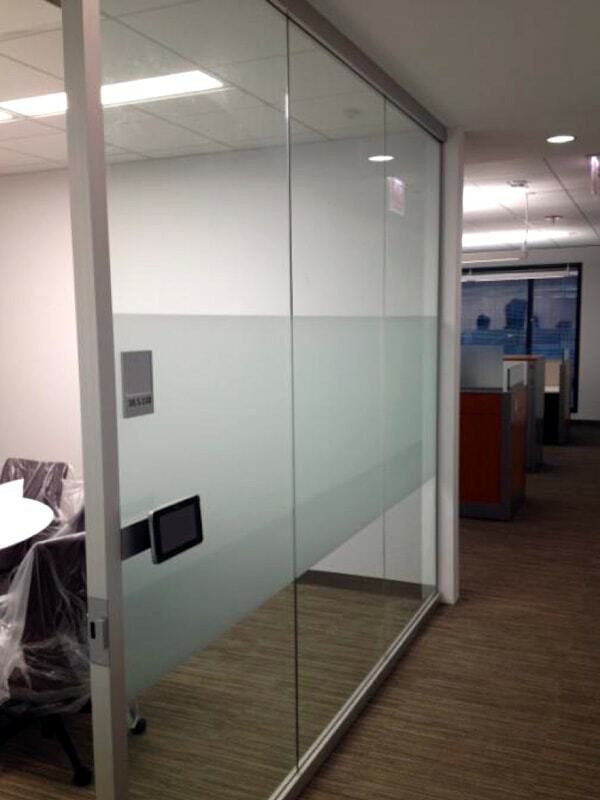 It can also be easily integrated with the Genius Movable Wall. 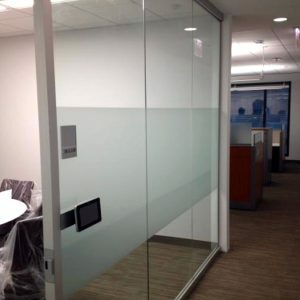 The one-half-inch-thick glass is rigid and aids in the absorption of sound. 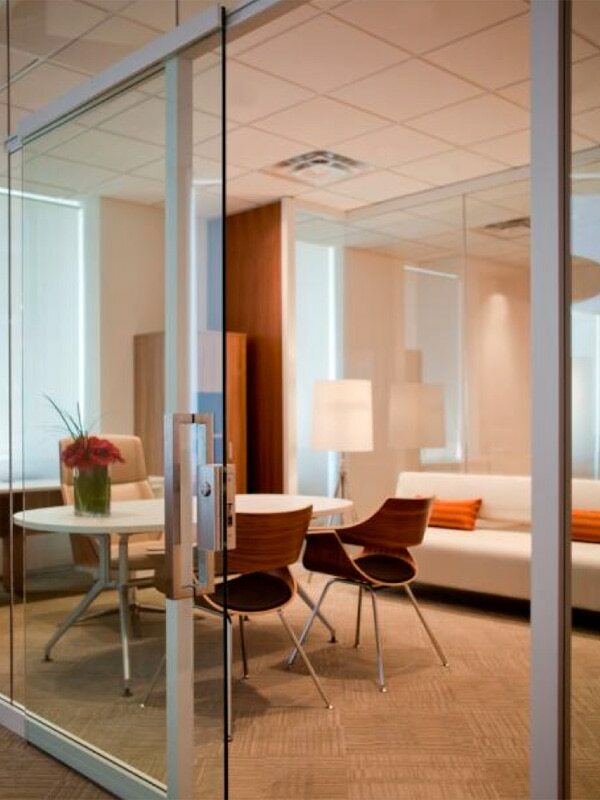 Aesthetics are maintained with beautiful hardware, full-height sliding glass door mechanisms and passive top and bottom channels. 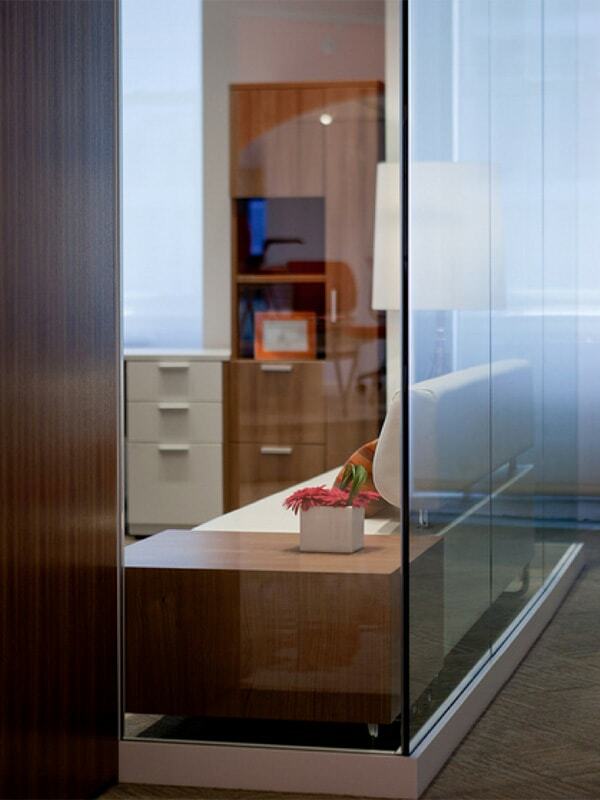 It’s time to re-think what you think about walls and office dividers. 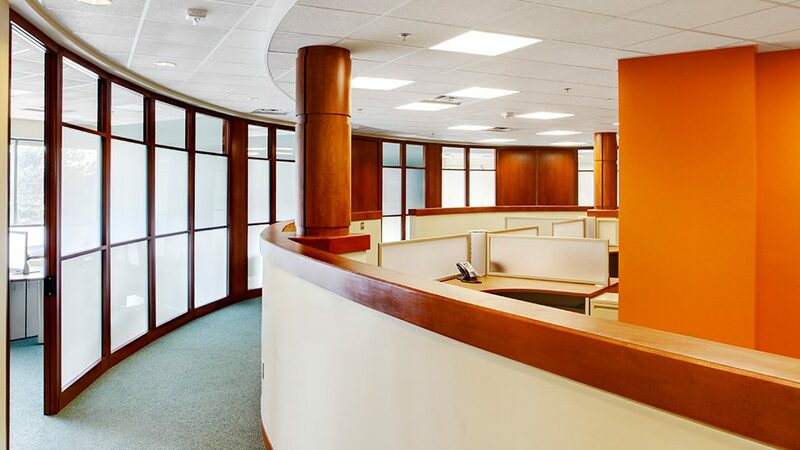 When you are looking for innovative and flexible conference rooms, workstations, training rooms and other office spaces, consider Genius and Lightline Movable Walls. 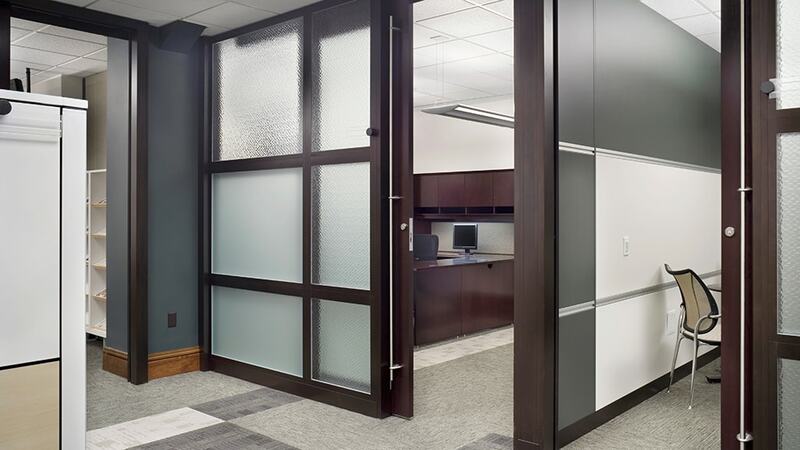 With a variety of materials, colors, textures, hardware and door types from which to choose, you can craft the space you need today and re-create – literally – the space you’ll need in the future.